Navia Robinson poses for a family portrait with Raven-Symone and Issac Ryan Brown backstage during their appearance at Build Series in New York City on Wednesday morning (October 10). 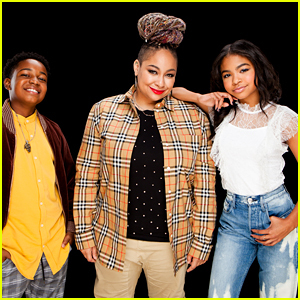 The on-screen Baxter fam stepped out to kick off promo for the special musical episode of Raven’s Home, happening this week. 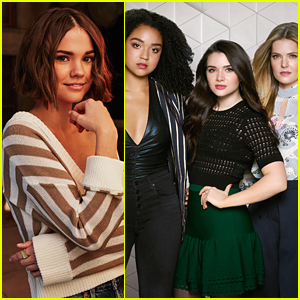 “It was a lot of talk and build up and anticipation,” Navia says about the show getting to do a musical episode just like the original series, That’s So Raven, did. Check out their full interview below and tune into the special episode THIS Friday, October 12th on Disney Channel! Navia Robinson definitely upped her style game at the premiere of Christopher Robin held at the Main Theater on the Walt Disney Studios lot on Monday night (July 30) in Burbank, Calif. 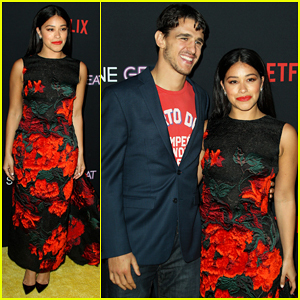 The 12-year-old Raven’s Home and Free Rein starlet wore a stunning red dress, accessorizing it with a red bow choker around her neck. While we can’t see it from the back, it looks so chic! Navia was joined at the premiere by on-screen brother, Issac Ryan Brown, plus Zombies‘ Kylee Russell, and Modern Family stars Aubrey Anderson-Emmons and Jeremy Maguire. Christopher Robin debuts in theaters on Friday, August 3rd. Even if you watched the 2018 Radio Disney Music Awards live, you definitely didn’t get to see these super cute behind-the-scenes moments! 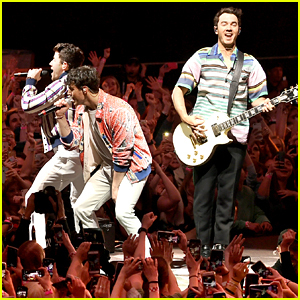 Tons of stars got together for the event held on Friday (June 22) at the Dolby Theater in Hollywood. Meghan Trainor posed with her fiance Daryl Sabara, and Bailee Madison snapped a pic with her boyfriend Alex Lange. Charlie Puth gave music producer Marshmello a thumbs-up as they met up backstage, and American Idol winner Maddie Poppe and “yodeling kid” Mason Ramsey totally shared a moment as well. Also hanging out backstage were Hero for Change award winner Carlos Polanco, Stuck in the Middle‘s Isaak Presley and Kayla Maisonet; Raven’s Home‘s Raven-Symone and Isaac Ryan Brown; Andi Mack‘s Sofia Wylie, Asher Angel, Peyton Elizabeth Lee, and Joshua Rush; Walk the Prank‘s Jillian Shea Spaeder; and Cloak & Dagger‘s Olivia Holt and Aubrey Joseph. 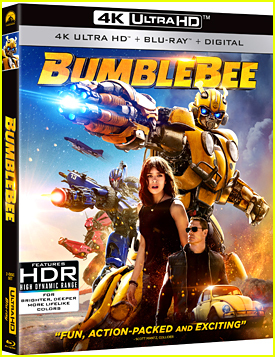 Music artists Echosmith, JAGMAC, Kelly Clarkson, Brynn Cartelli, Tegan Marie, Max & Harvey, Carly Pearce, Ludacris, Janet Jackson, Carrie Underwood, and Randy Jackson joined them as well. See all the pics in our gallery below, and check out the full list of winners here! Issac Ryan Brown and Jason Maybaum are matching in their camo jackets! 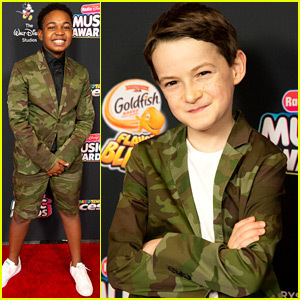 The two Raven’s Home hit the red carpet wearing a double camoflauge look for the 2018 Radio Disney Music Awards held in Los Angeles on Friday (June 22). Their co-stars Raven Symone, Sky Katz and Navia Robinson, plus Jason‘s new Freaky Friday co-stars Cozi Zuehlsdorff and Dara Renee were also seen on the carpet. If you missed it, Issac shared some pretty big news this afternoon – he’ll be starring in the new Kim Possible movie! Issac Ryan Brown Joins 'Kim Possible' Live Action Movie as Wade! Issac Ryan Brown just booked the best role in Kim Possible – Wade! 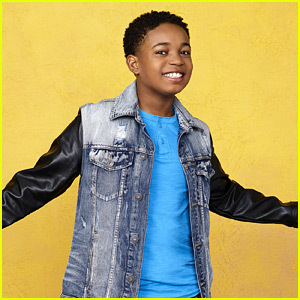 The Raven’s Home actor will play the teen computer genius and ace inventor Wade, Kim and Ron’s communications guru whose advanced surveillance skills and high-tech inventions help them stay a step ahead of their villainous foes. The live action Kim Possible will center on the title heroine, an everyday teen who traverses the social hierarchy of high school and, with her loyal best friend Ron Stoppable and his naked mole-rat Rufus by her side, save the world from power-hungry villains Drakken and Shego, among others. 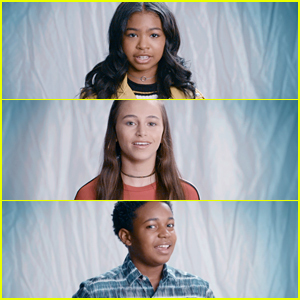 Sadie Stanley, Sean Giambrone, Ciara Wilson and Erika Tham will also star in the movie, premiering in 2019 on Disney Channel.